Home » Uncategorized » World of Warcraft: Battle for Azeroth – Which Side Are You On? Right from the start, let me just give a loud “for the Horde! !” Because that’s the side we chose over a decade ago when World of Warcraft first released, and that’s the side we’re sticking with. I mean who would want to be a part of a group of righteous, honorable, knights and warriors who’s home base is in a regal, enchanting castle in…. ohh, so that’s the appeal… We’re still not leaving our Horde brethren! Not after all these years, and not after what the Alliance has done to us! 3 “Bad” or Just “Morally Grey”? 4 What Will Happen Next? If you’re totally new to this massively multiplayer online role-playing game (MMORPG), you can learn the basics in our blog post here. But basically, when you pledge your allegiance to one of the factions in World of Warcraft, that bond runs deep. So much so that sometimes this loyalty can extend beyond the game itself. This funny yet accurate commercial Blizzard put together for Battle for Azeroth’s release shows you exactly what I mean. 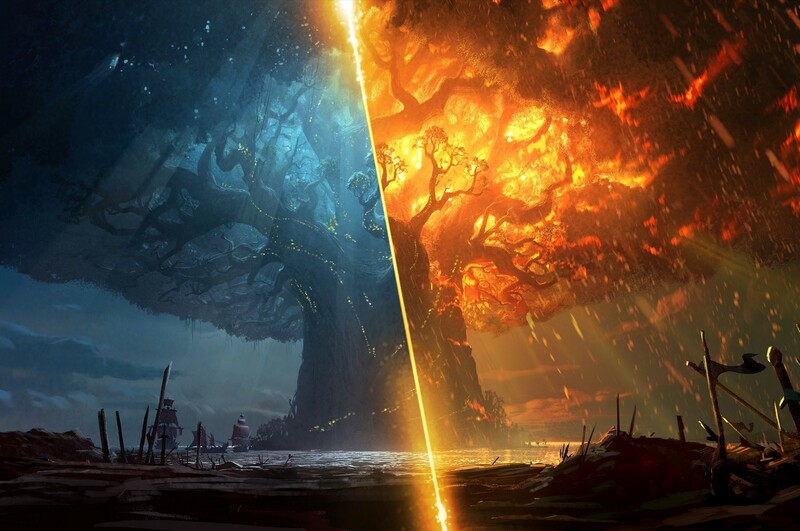 When Battle for Azeroth kicks off on Tuesday, August 14th who’s side are you going to choose? If you don’t know, you’d better hurry up and decide because which side you’re on really matters– now more than ever. Let us catch you up on the recent events leading up to the release of the game, and fill you in on some of the backstory along the way. The WoW community is really up in arms after the release of a recent video short where Sylvanas (a Night Elf herself and the current warchief of the Horde) goes full-evil and destroys what’s one of the most important Alliance landmarks and the home of thousands of her own race. 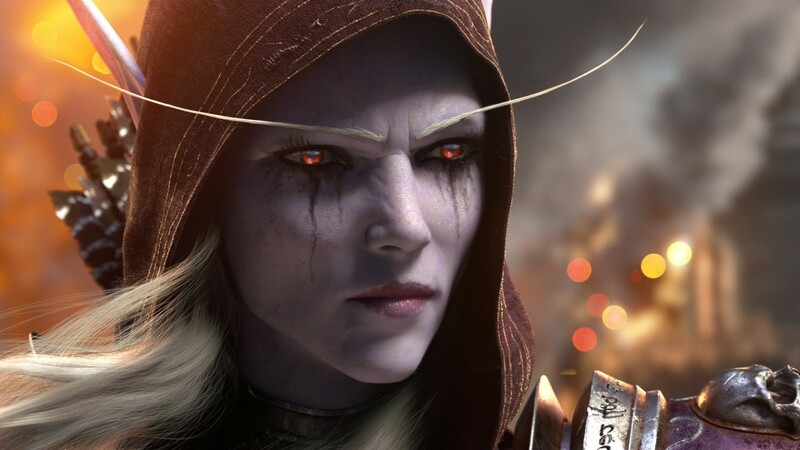 Sylvanas does have her reasons to hate the Alliance, which some might argue justifies this heinous act (an Alliance leader ripped out her soul and transformed her into a banshee) however most fans are truly appalled by her extreme destruction. Some fans have even sent death threats to one of the cinematic’s script writers! You see, Sylvanas’ murderous act is following a trend that has continued over the past couple of expansions, and the Horde as a group has been looking more and more like “the bad guys”. And “The War of Thorns”, the war leading up to the Battle for Azeroth (it’s called “warcraft” for a reason! ), has been painting the Horde as honorless aggressors, compelled by demonic forces to win, kill, and survive at any cost. And “survive at any cost”, is certainly how you could describe the burning of the sacred World Tree — but was it justified? “Bad” or Just “Morally Grey”? The Battle for Azeroth is shaping up to divide more than just the Horde and the alliance. New rifts are opening up within the ranks of the Horde itself, both in-game an in the player-base. 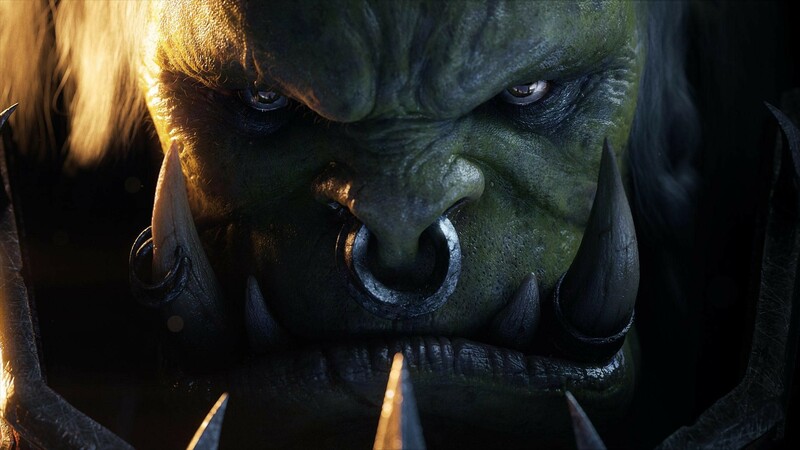 Many WoW players have expressed their support for Saurfang, and are even more outraged than ever about the direction (towards evil) that the Horde is headed. And still many others, like us, remember the horrible things the Alliance has done; and those scars are still fresh. How will the Alliance respond to Sylvanas’ horrible act? There is a lot more story to tell, but I wouldn’t expect it to come from another cinematic on YouTube– the answer will arrive on Tuesday, August 14th when the expansion releases worldwide. And it will be up to you to decide which side you will choose, and how you will respond. Pre-order it now while it’s on sale in our webstore HERE. Oh, and here’s another one of those awesome commercials! Let us know in the comments whether you’re choosing the Horde or the Alliance and why! And as always, follow us on Facebook, Twitter, and Instagram for more great content.